Cream’s recently announced the line-up for this year’s Boxing Night Special. First up is Laidback Luke, who will be jetting in especially for the occasion, following an successful season as exclusive resident for Cream in Ibiza. Joining Luke in the Main Room is fellow Dutchman Nicky Romero, whose meteoric rise to international fame has flourished over the last few years following a series of successful productions, which has brought him to the attention and into the studio with some of the world’s most sought after electronic acts, including David Guetta, Avicii, Madonna and Usher. Next up is special guest and Tiësto’s DJ of choice – Hardwell - last year saw him support the world’s No.1 DJ on his US tour and at only 23 years old he is already an award winning DJ, producer and label manager, in addition he was voted #24 in this year’s DJ Mag Top 100 which isn’t bad for his first entry in to the chart. Keeping with the Dutch theme is Sunnery James & Ryan Marciano who’ve left a lasting impression since their last appearance at Cream. Completing the line-up is Cream resident Anthony Probyn. Leading the way in the Courtyard is Cream regular Ferry Corsten, renowned for his unique up-tempo big room trance and house sound. Joining him will be one of America’s busiest international DJs, Markus Schulz, whose unique trance-progressive sound is the appeal that has seen Markus consistently voted as one of the world’s Top 10 DJs. Completing the line up in the Courtyard will be Cream residents Gareth Wyn and Rob Harnetty. The Annexe will be home to the residents and leading the pack is one of Cream’s favourite sons Paul Bleasdale. 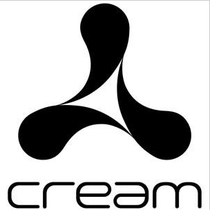 Despite a 10 year hiatus away from the decks he is Cream’s longest serving resident and he’s back on the decks following an amazing set at Cream’s 20th Anniversary. Other acts taking over the Annexe will be Jemmy, Andy Mac and Lee Ellis. Check www.cream.co.uk for latest info. It's remarkable to go to see this web site and reading the views of all friends about this piece of writing, while I am also zealous of getting familiarity. I am in fact thankful to the holder of this web page who has shared this great piece of writing at at this time. Wow! After all I got a web site from where I know how to in fact obtain helpful data regarding my study and knowledge. Hi, i think that i saw you visited my blog so i came to �return the favor�.I'm trying to find things to improve my site!I suppose its ok to use some of your ideas!! It's a pity you don't have a donate button! I'd definitely donate to this brilliant blog! I suppose for now i'll settle for bookmarking and adding your RSS feed to my Google account. I look forward to new updates and will share this website with my Facebook group. Chat soon! Hi excellent website! Does running a blog such as this take a massive amount work? I have absolutely no knowledge of programming but I was hoping to start my own blog in the near future. Anyway, if you have any recommendations or techniques for new blog owners please share. I know this is off subject nevertheless I just wanted to ask. Thanks a lot!